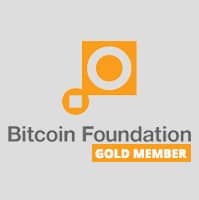 Anonibet, the world’s oldest bitcoin casino and sports betting site, has announced that it is now a gold member of Bitcoin Foundation, which was launched in September 2012 to “standardize, protect, and promote the use of Bitcoin cryptographic money for the benefit of users worldwide.” Built along the lines of Linux Foundation, the Bitcoin Foundation gets funds from companies that heavily rely on bitcoin. According to a issued by Anonibet, the bitcoin online sportsbook’s latest move is not surprising as it is a leader in the bitcoin casino and sports betting industry, having been launched in 2011. The company has been a staunch supporter of the cryptocurrency right from the days it was worth only a small fraction of the US dollar to the time it became worth several thousands of US dollars. Referring to bitcoin as “the currency of freedom,” Anonibet expressed its hopes that bitcoin will “liberate the way transactions are governed.” The press statement also reveals reasons for the company’s decision to join the Bitcoin Foundation. Expressing gratitude for everything the foundation has done ever since its establishment in September 2012, Anonibet stated that it is aware of the important role the foundation has played in changing “the face of bitcoin,” as it was launched 10 months before the Bitcoin Foundation. Stating that the foundation has benefited the industry in a remarkable manner, the company said that it is happy about the way it has lobbied for and advocated the use of bitcoin. Anonibet stated that it decided to become a gold member because it feels that the foundation deserves its support. As previously mentioned, Anonibet was launched in 2011 and is therefore the world’s first bitcoin online casino and sports betting site. Although not the only online sportsbook to offer bitcoin World Cup betting, it was definitely the only that challenged bitcoin bettors to win their share of 22 BTC by taking part in its World Cup 2014 contest. Bettors can wager on several sports such as beach volleyball, snooker, basketball, handball, boxing, and others at Anonibet. The online sportsbook now hopes to attract more new bettors and retain existing ones as it has become a gold member of the Bitcoin Foundation. In its press statement, the online sportsbook says that it will continue to grow and develop although it is considered to be the number-one bitcoin betting site in the industry. Anonibet has promised customers that it is “working round the clock to provide a product that is subtle and can blend with the shine of the Bitcoin.” Recently, the online sportsbook started a new live customer support system, which has greatly improved its relations with its customers. Anonibet has also launched an affiliate program to encourage those who are eager to work with the company as it climbs greater heights. Michael Hoshford of Anonibet also grabbed this opportunity to say, “Our next product release will be a live dealer casino.” However, he did not reveal more details about the new feature.